Lan ‘Maggie’ Ye greets me with two teas, a fragrant jasmine and a more herbal guan yin, accompanied by a plate of crushed-almond teacakes from Macau. Escorting us to seats amid flickering candles and Asian figurines in the residents-only Sutra Lounge, she explains the history of Chinese tea ceremony, known as Kong Fu, meaning ‘brewing the tea with great skill’. “Chinese tea ceremony is a way to show respect to favoured guests,” explains Maggie, whose family hails from China’s Hubei province. By the end of the 40-minute ceremony, I am feeling not only calmed but culturally immersed, having learned to tap the table with two fingers to show our appreciation as Maggie pours from a dainty blue-flower teapot into tiny, thimble-like cups, and pick up the saucers with both hands. The tea ceremony is one just of the extra services available to guests checking in at the Yang Sing Oriental, the latest boutique hotel opening in Manchester. There’s a charge for afternoon tea, but many of the extra touches, such as a free minibar, free in-room films and a consultation with a scent sommelier to choose a fragrance to be diffused in your room to suit your mood, are included in the room rate. I check in on a sunny afternoon in Manchester’s vibrant Chinatown district, the hotel has been open just two weeks. The property is awaiting a few final touches to the decor and the last fittings to be imported from China, but it’s already running with an air of quiet efficiency. To work up an appetite for dinner, I take advantage of one of the other complimentary services: a rickshaw ride. This alternative taxi is available to guests for short hops across town, such as to the theatre or a meeting. I opt for a rickshaw tour of Chinatown and start free-wheeling through the streets past signs with Chinese characters and colourful shopfronts. Our Malaysian-born driver, Freddy, peddles furiously through the rush-hour traffic and, as we pass under the elaborate Chinese Imperial Arch, a gift from the Chinese people in 1987, it feels more like Hong Kong’s Wan Chai district than England’s reborn second city. Local supermarkets sell exotic produce, gift shops sell Hello Kitty merchandise and roasted ducks hang in the windows of restaurants, headless and resigned to the imminent dinner rush. Back at the hotel, my suite is from the mid-price Grand Oriental category, roomier than the standard Mandarin and Oriental suites, but still modest by the standards of the Grand Emperor Suite with its £739 per night rack rate. It is divided between a small lounge and a more spacious sleeping area behind a black screen, and features a mix of modern and oriental influences. A low, leather-trim bed, offset by cherry blossom-design scatter cushions, dominates the rooms, while the desk is graced with three dipping bowls of fresh fruit and a display of white orchids. The latter is a recurring feature found throughout the whole hotel from the distressed brown-and silver bathroom to the dark-wood and leather seats of the reception bar. Most striking of all are two soft-focus artworks on the walls of the sleeping area. They have a 1950’s-Shanghai feel and could almost be stills from a film by the celebrated Chinese film director Kar Wai Wong, who directed the atmospheric In The Mood For Love. Downstairs the primarily Asian staff busy themselves serving drinks in the hotel’s Oku Champagne Bar, a clean white space dominated by a sweeping curve of a bar. The hotel has no restaurant per se, so for dinner we head next door to the buzzy Yang Sing restaurant, Manchester’s best-known Cantonese eatery, which is owned by the same family as the hotel and works closely with the new property. Opened in 1977, the restaurant has become something of a Manchester institution with its easy mix of businesspeople and local families treating their children to some real Chinese food. The basement restaurant feels businesslike but stylish with dark-wood fittings and the same 1950’s-Shangai artworks that feature in the hotel next door. The menu is bewilderingly extensive but the most popular way to order is to simply tell the waitress what you like and let her design a bespoke banquet for you. I take her advice and tuck into a mixed place of fried and steamed dim sum as an entree, small bowls of wanton soup, followed by spicy duck with fried rice and Chinese pak choi vegetables. The food is excellent with the softness of the steamed dim sum complementing the tangy spice of the duck. For breakfast the next morning, served in the low-lit Oku Bar, I go continental with fresh fruit, muesli served with Green yoghurt and pastries, accompanied by fresh juice and coffee. The menu may be less traditional but the service doesn’t disappoint – attentive, not overbearing, I feel looked after rather than pressurised to finish. The Yang Sing may be the new kid on the block but it is already carving its niche. It feels like a business hotel during the week and local businesspeople seeking to brush up on cultural tips before a working trip to China are a natural audience. At the weekend, however, it has a more relaxed feel and, despite the elaborate surroundings. So is this the start of a new chain of hotels buoyed by the post-Olympic glow and burgeoning fascination with the motherland? The Yang Sing Oriental’s owner, Hong Kong-raised and Manchester-based businessman, Gerry Yeung, certainly thinks so, and harbours plans to roll out a portfolio of hotels across the UK and Europe. “I see myself as a cross-cultural person and the style of the hotel reflects this,” says Gerry, who cites The Peninsula in Hong Kong and Raffles Hotel Singapore as his favourite destination hotels. * This story was first published in the Daily Express in 2008 – the hotel has since closed. Liked this? 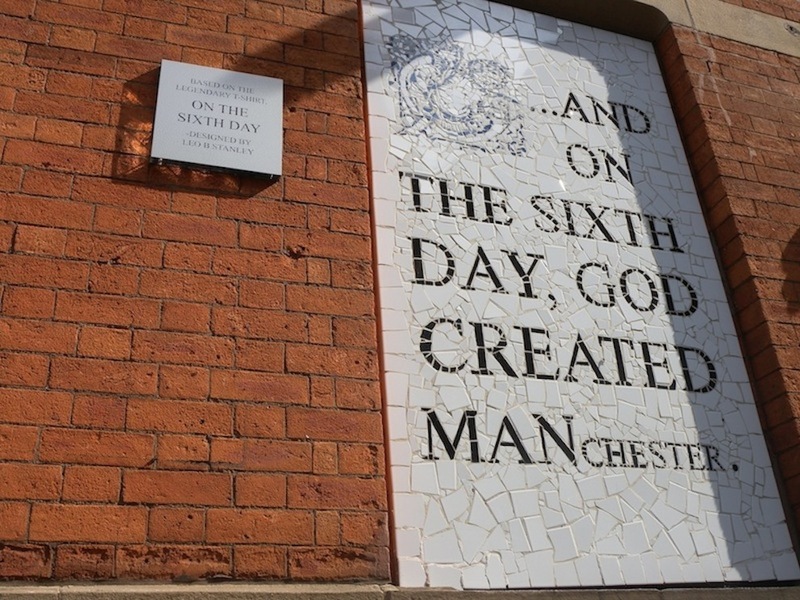 Try this story published this week: A literary tour of Manchester.